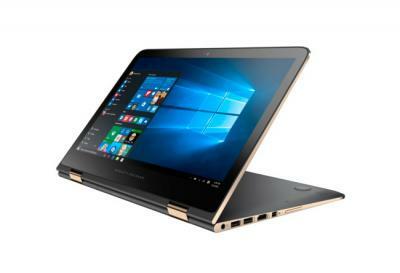 HP's Spectre X360 OLED is a hybrid laptop/tablet that comes with a 13.3" OLED display (2560x1600). The OLED model weighs 50 grams less than the equivalent LCD model. HP says that the OLED outperforms the LCD in terms of color gamut (103% RGB vs 72% in LED displays) and is also more power efficient. The Spectre x360 OLED is now shipping, starting at $1,399.